Did you hear? 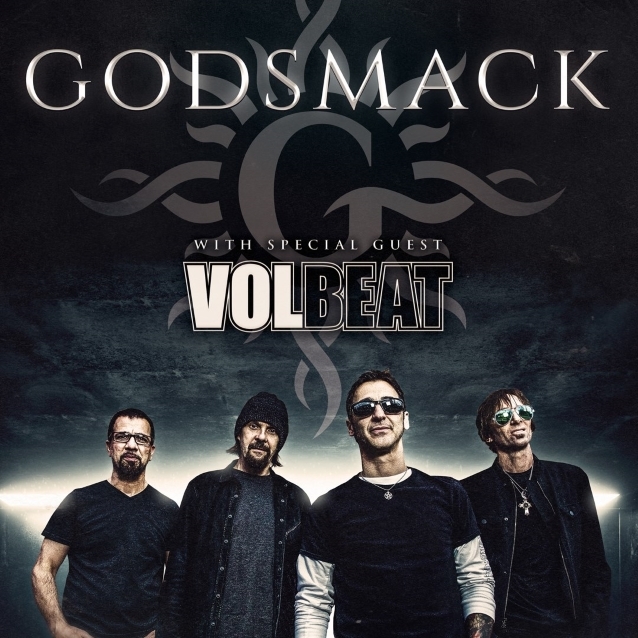 Godsmack is touring North America with VOLBEAT Spring 2019! Public tickets and VIP sales start Friday, December 14 at Godsmack.com. Some good news from the Godsmack camp after recently postponing their Fall ’18 European tour after the death of guitarist Tony Rombola’s son. Here’s what’s been announced, so far. You gotta think more dates are coming, right? Godsmack will tour supporting their latest album “When Legends Rise”. Meanwhile, VOLBEAT is releasing the 26 track “Let’s Boogie! Live From Telia Parken” on December 14 ’18. It’s from a show they played August 26, ’17 headlining and selling out their hometown venue, Denmark’s Telia Parken, with over 48,250 people in attendance! Tours don’t get much bigger than this one. IF they’re dragging along an ‘opening’ band, which band would you like to see join the tour?